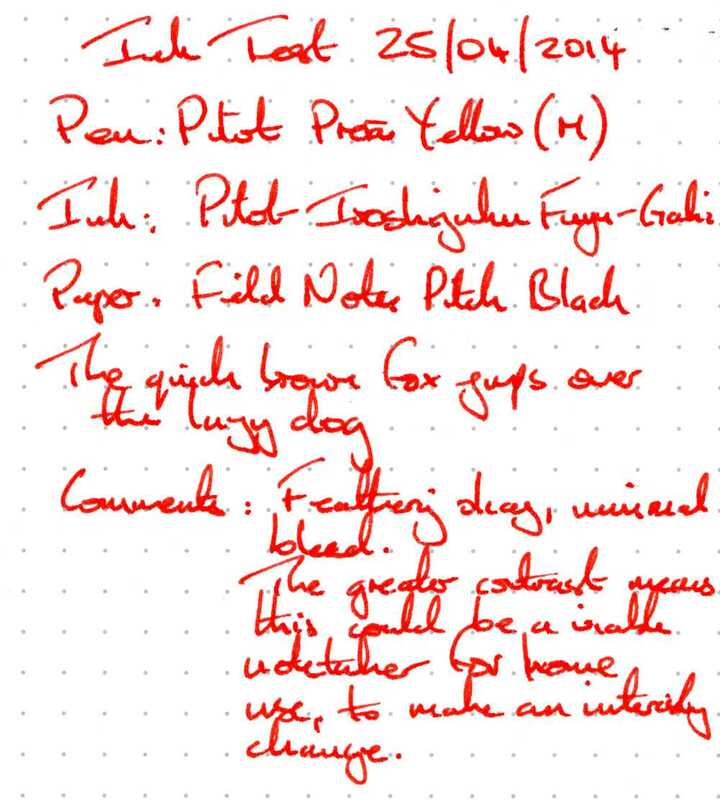 In this case the test pen was Pilot Prera with a medium nib. 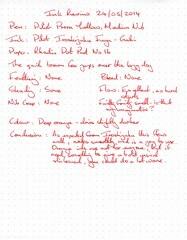 I usually test with a Pilot MR, but of this occasion I wanted to try out the Prera and thought this would be a good ink to use. The nib is very similar to the MR though. The box has an attractive silver grained finish – the name and colour are clearly visible. 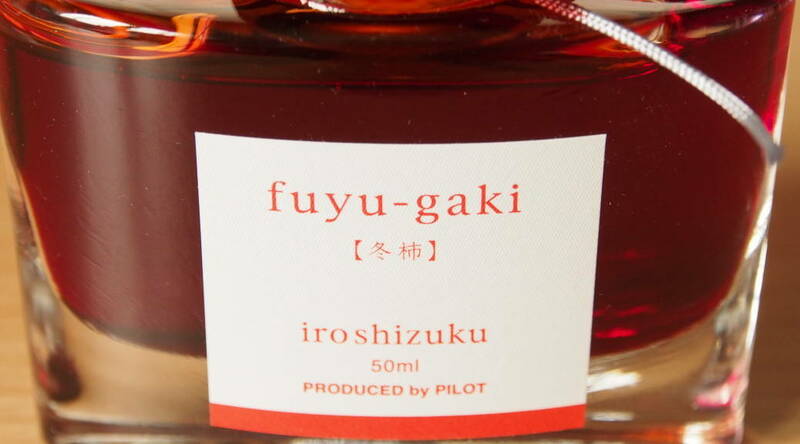 The bottle is very heavy with a thick base and groove to help reach the last few drops. While the bottle does look very attractive, I must admit I am somewhat put off by what feels like a degree of unnecessary packaging clearly intended to give a luxury feel. The neck of the bottle is slightly on the narrow size for me. The ink showed no water resistance when tested, and a few drops of water rendered text illegible. The ink was very easy to clean from the pen. The drying time on Rhodia was around 40 seconds, which I would consider moderate. 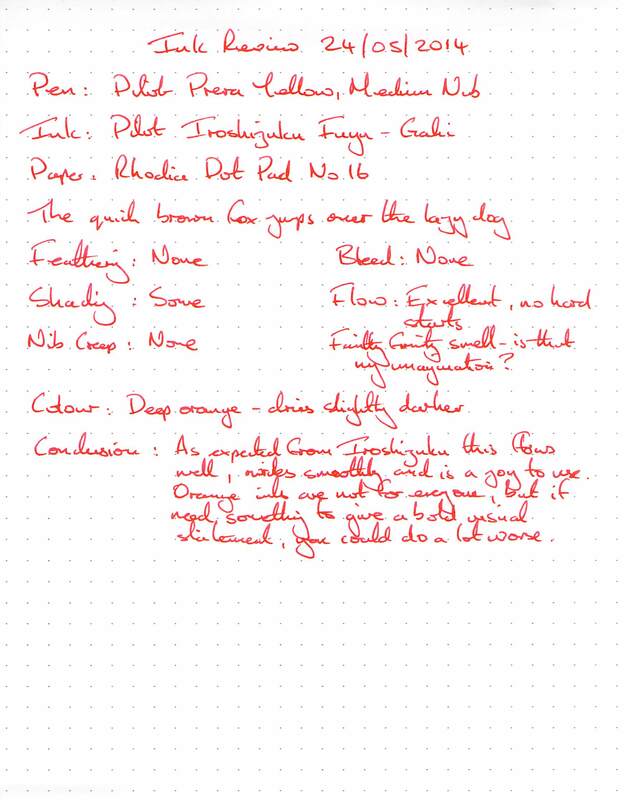 On a general note all the handwriting scans make this ink look more red than it is in reality. The photos are more accurate. The ink flowed very well and was a pleasure to write with. The ink dried slightly darker than it came out of the pen. Again the ink performed well without problems. 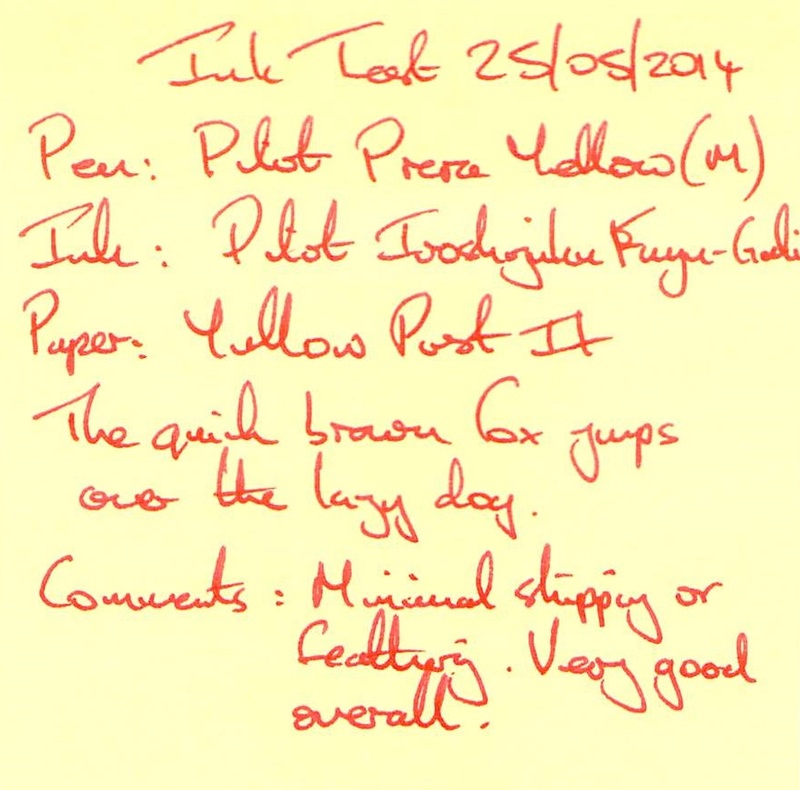 Even on the usually troublesome Post-it the ink performed well with minimal skipping or feathering. The contrast with the paper was good too. 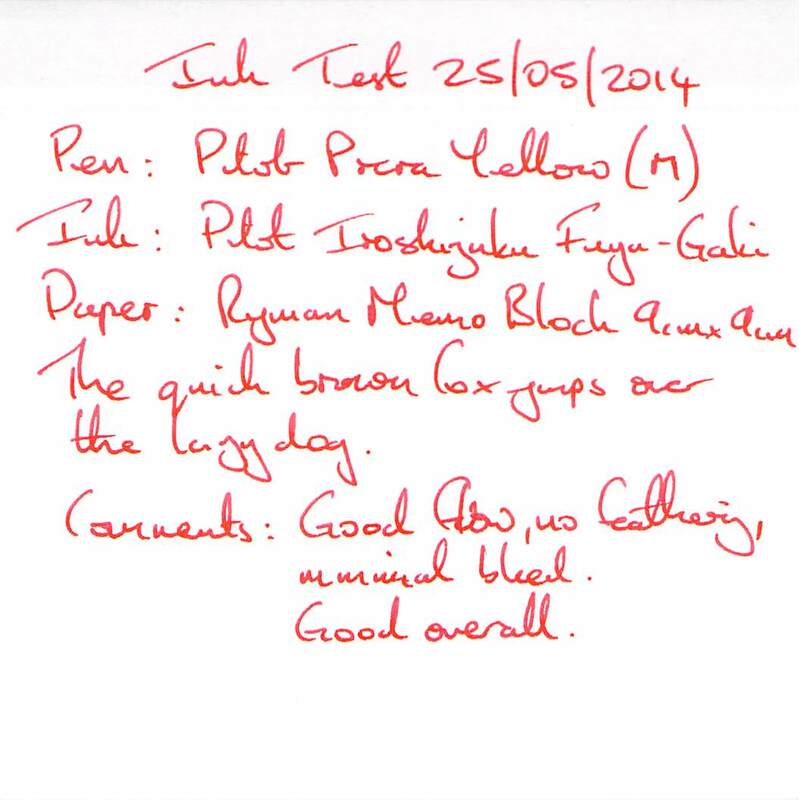 Feathering on this paper was minimal – this really could be a viable candidate for note-taking with character. 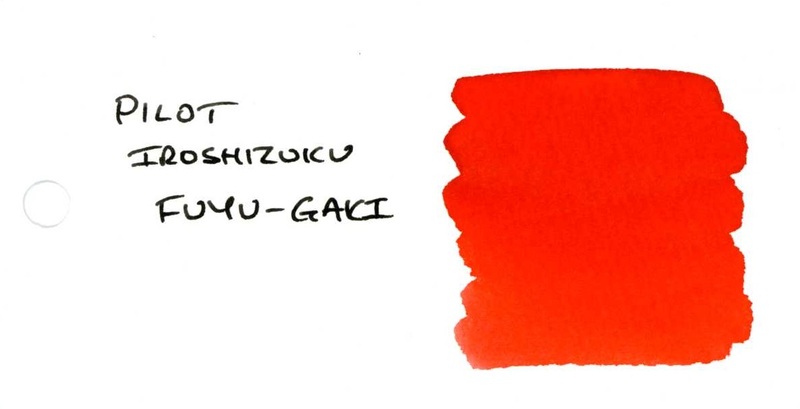 The swab showed more slightly more shading than in the scanned image, which is also slightly biased towards red. The photo of the card below the tile could a more accurate colour rendition. This is a great ink which performs well. I like the colour, so will be using it again. I can’t see the lack of water resistance being an issue in the situations I would use the ink. 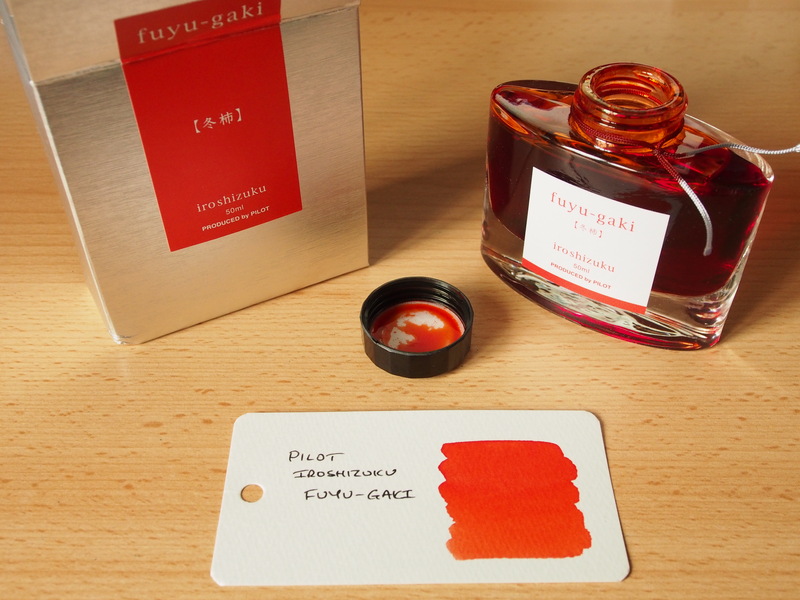 The only issue that may put me off buying this ink again is if I had to pay full UK price – in that case I would look at other options first. The sample card is amazing. Can you share with us you sampling “cook book”. What is the small car you are using and how do you store them?? I will appreciate the same style of ink sampling. I keep them on the ring they are supplied with. I used to scan them with a ScanSnap scanner (the one I use for my writing samples). However I wasn’t happy with the results. Now I photograph them instead.